When we think of precious stones, diamonds, emeralds, and rubies jump to mind as the most valuable gemstones in the world. However (or perhaps surprisingly), there are so many gemstones that are even rarer and, in turn, even more valuable. 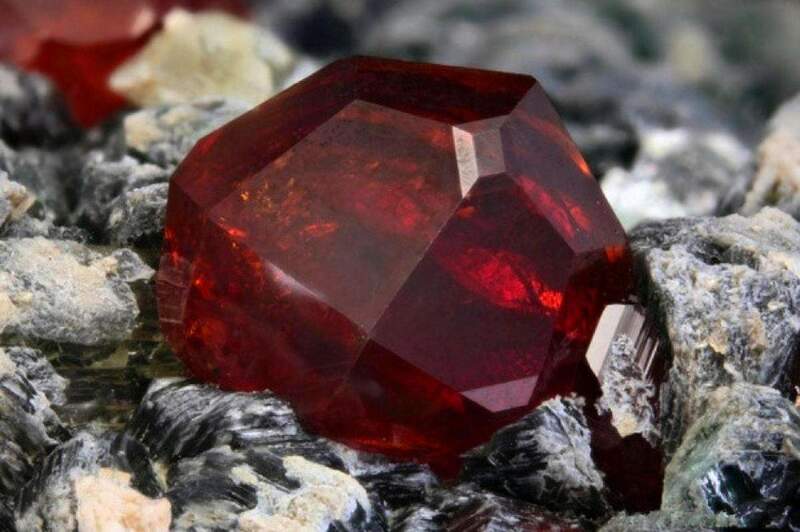 Painite has in years past been described by the Guinness Book of World Records as the rarest gem mineral. Painite was first discovered by British gemologist Arthur Charles Davy Pain in 1951 and recognized as a new mineral in 1957. 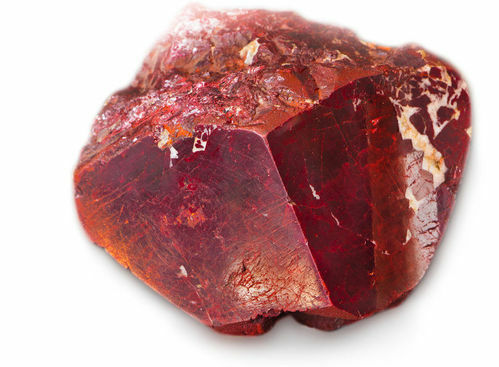 For many years only one specimen of the dark red crystal was in existence. Housed at the British Museum in London, making it the world’s rarest gemstone. Later on, other specimens were discovered, although by 2004 there were still fewer than two dozen known painite gems. However, in recent years a couple of mines in Myanmar have begun to produce some painite, and there are now said to be over 1000 stones known. The scarcity of this gem has made it extremely valuable. Just one carat can fetch more than $60,000. Painite has an orange-red to a brownish-red color similar to topaz and has a naturally hexagonal shape. Although small deposits in Japan and Arkansas have uncovered benitoite, the only commercial benitoite mine is in San Benito, California, where it got its name. 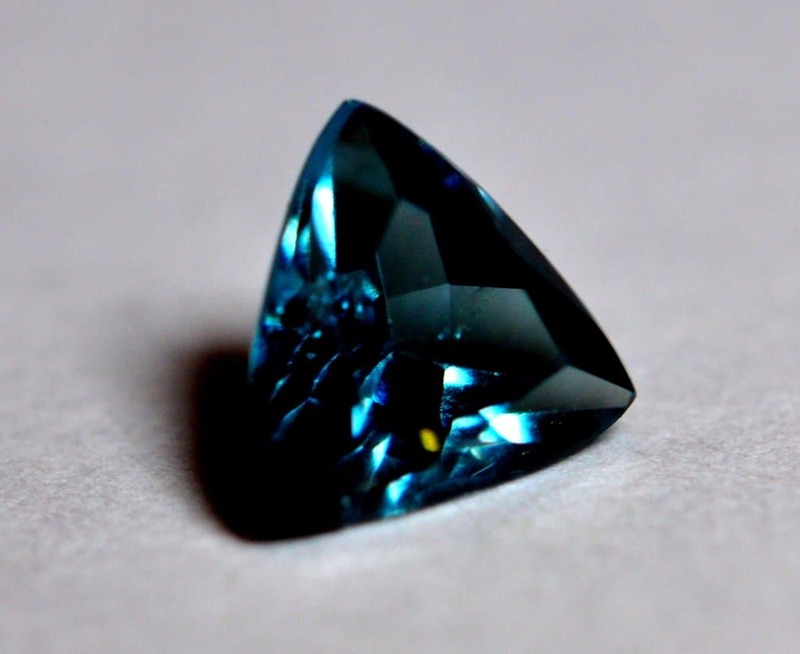 Benitoite will give off strong fluorescence and shines a bright blue color. Most everyday jewelry lovers will never be able to see the true beauty of benitoite. It was first discovered in 1907 by George D. Louderback. It became the official gemstone of California in 1985. The stone has been misidentified as spinel in the past but was eventually re-examined and reclassified due to the high level of brilliance of the gemstone. You’ll have to do some due diligence to find a trustworthy and legitimate source to purchase benitoite. When you do, be prepared to spend. You’ll want to find a stone that has a medium body tone with a cut that maximizes the stone’s fire. Stones that are too dark will not reflect the light well. Stones that are too light will look washed out. Don’t expect to find stones greater than 3 carats. The average price is $3,800 per carat for stones with medium blue tones. Smaller stones that are less than 1 carat can reduce the price per carat significantly. 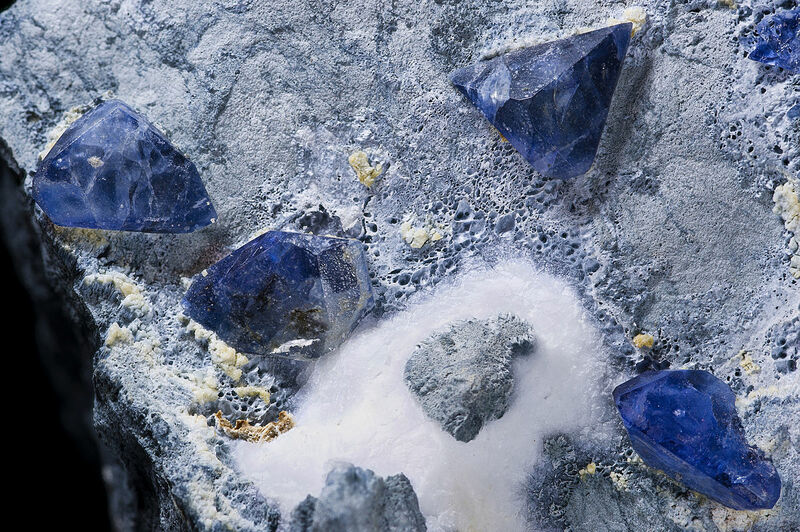 Benitoite typically occurs with an unusual set of minerals, along with minerals that make up its host rock. Alexandrite was named in honor of the Russian Tsar Alexander II. The stone’s remarkable color-shifting capability makes it especially sought-after: In sunlight, the stone looks blue-green, but under incandescent light it becomes red-purple. The degree of color change varies from stone to stone, with some only showing marginal change, but the most valuable are clear stones that demonstrate complete color change. Since its discovery in the 1830s in the Ural Mountains of Russia, new deposits have been found in East Africa, Sri Lanka, and Brazil. However, these new mines do not make alexandrite any less rare—or less expensive. 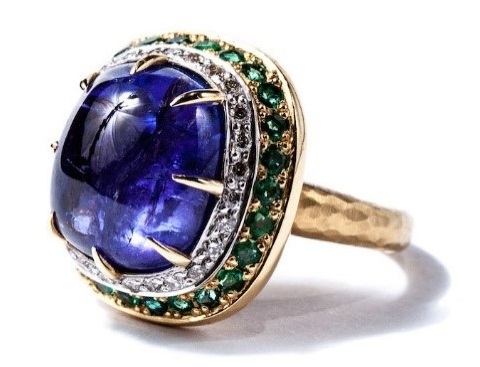 Although some large examples of the stone have been found (the Smithsonian houses the world’s largest known cut sample of alexandrite at 65.08 carats), the majority are less than one carat. This means that the value of a gem under a carat may only be $15,000, but a stone larger than one carat might fetch as much as $70,000 per carat. Grandidierite is a bluish green mineral discovered primarily in southern Madagascar in 1902. It is named after naturalist and explorer Alfred Grandidier, one of the first authorities on the natural history of Madagascar. Grandidierite has a hardness of 7 to 7.5 and displays an attractive blue-green hue. Many rare gem collectors would love to add grandidierite to their collections, but it has been almost impossible to find. The recent discovery of some gem quality material in Madagascar has now made a few high-quality stones available, but fully transparent specimens are ultra-rare. Tanzanite is a popular blue gem that is only produced commercially in one small area of Tanzania. Although nearly all of the world’s most popular gemstones have been known and used for hundreds of years, tanzanite was not discovered in commercial quantities until the 1960s. Tanzanite is a trade name that was first used by Tiffany and Company for gem-quality specimens of the mineral zoisite with a blue color. Tanzanite ranks 6-7 on the Mohs Scale of Hardness so it is durable enough for everyday wear. The most prized color is a pure blue that is almost indistinguishable from blue sapphire. Since this rare gemstone is found exclusively in the remote and singular location of foothills of Mount Kilimanjaro in Tanzania, there is a serious concern the world’s supply of tanzanite may be depleted in the next 20 years. Opal is a fairly common gemstone but black opal is one of the rarest gemstones and most popular type of opal. These stones are streaked with bright colors in cosmic swirls which stand in sharp contrast to the stone’s unusual darkness. It is also considered among the rarest gemstones of all gemstones. Almost all the world’s supply of black opal is mined in Lightning Ridge in New South Wales, Australia. The first recorded Black Opal found in Lightning Ridge was in 1873. However, until 1903, people were not aware of its value until now. Some has also been found in the opal mining town of Mintabie, South Australia. 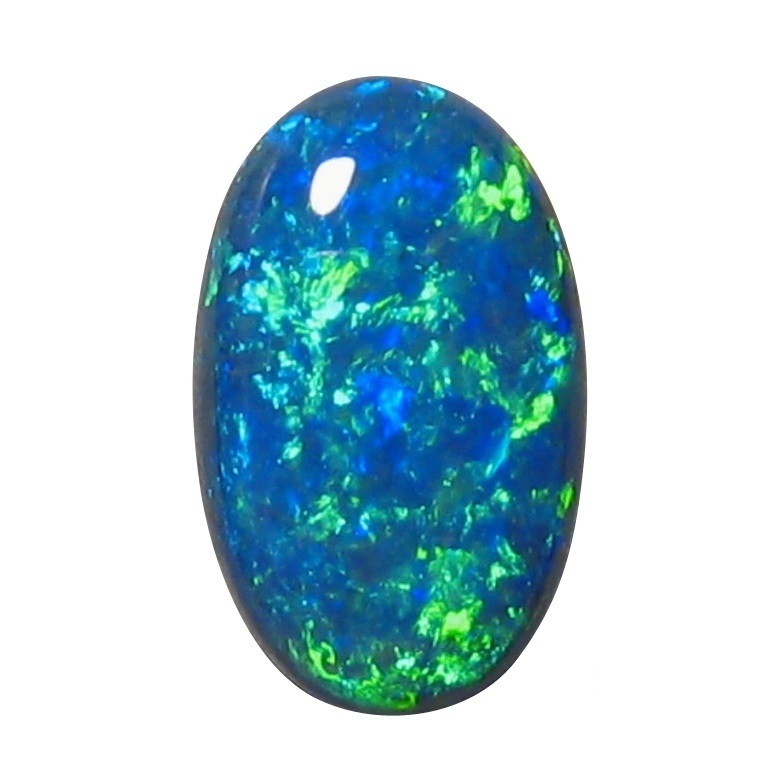 The main characteristic that will differentiate black opal from common opal is its body tone. Though black opals can come in many colors, their overall composition is on the darker end of the spectrum. The average price per carat is greater than $3,500 for fine-quality stones. Some people might think that the Black Opal comes in a black color, so they are quite often amazed by these beautiful colors it actually has. 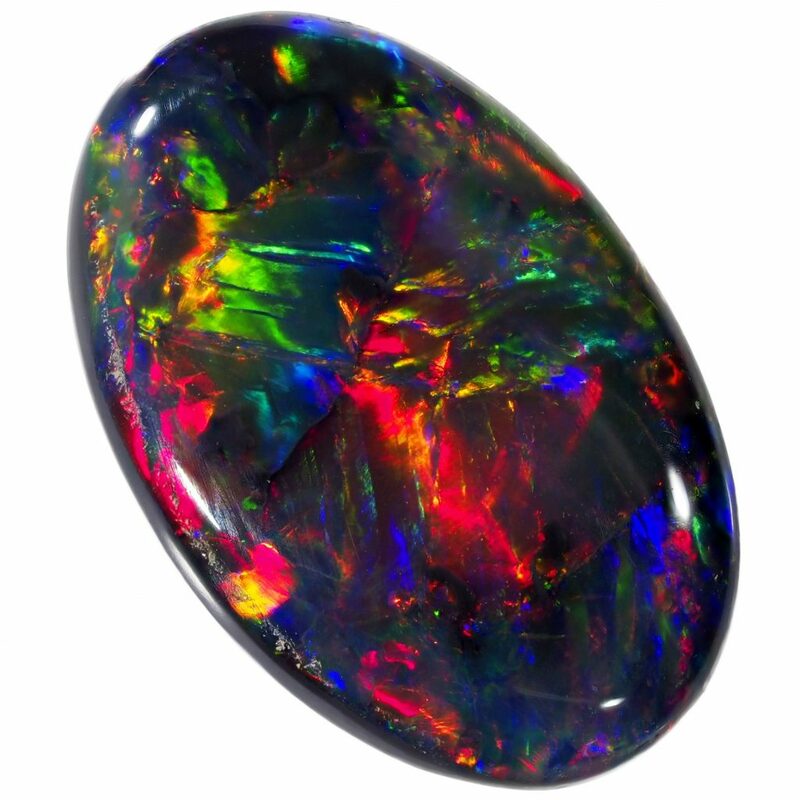 Why is it called the Black Opal? The proper definition of this rare gem is – Black opal is the opal which has the colors with a black or a grey base. 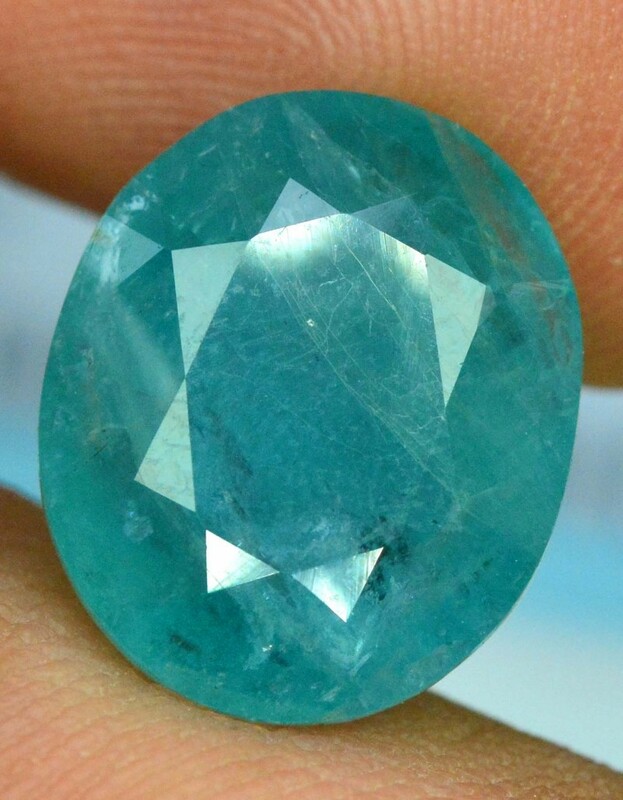 Closely related to emerald and aquamarine, but vastly rarer than either is red beryl. Mineralogist Maynard Bixby discovered this treasure in an area near Beaver, Utah in 1904. 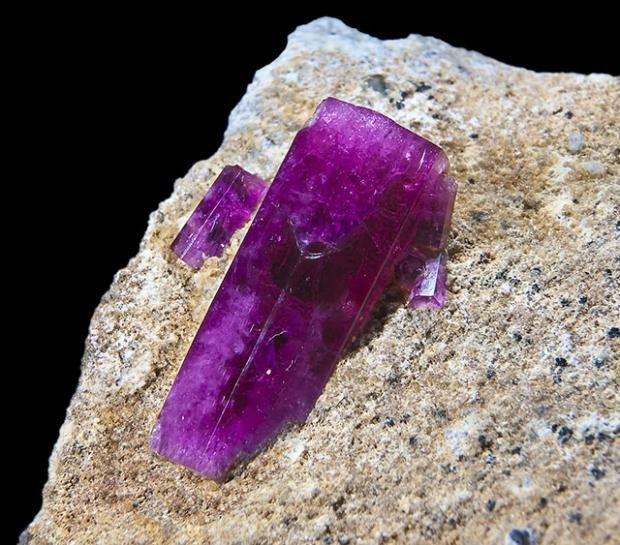 Since that time it has been commonly known as bixbite in his honor; but since the term can be so easily confused with bixbyite, a different mineral also named for Bixby, the World Jewelry Confederation now strongly discourages it. Sources are limited to several small plots in Utah which have always proven excruciatingly difficult to exploit economically, so supply is strained at best. According to some published estimates, a ruby of similar caliber is around 8000 times as plentiful. So even at $2,000 to $10,000 per carat, many might consider red beryl quite underpriced. Other locations in Utah, New Mexico, and Mexico have turned up red beryl but most stones are too small and deemed unworthy of faceting. 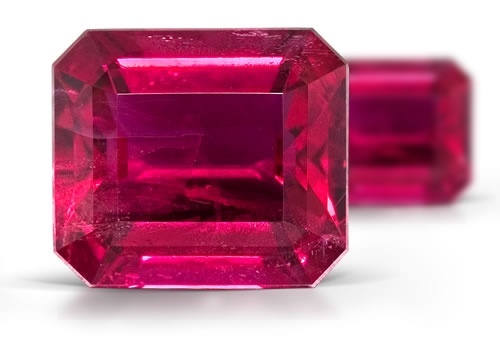 For perspective on its awesome rarity, the Utah Geological Survey estimates there is one gem-quality red beryl crystal for every 150,000 gem-quality diamonds. Pure beryl is colorless and only gains its bright hues from impurities in the rock. Manganese adds the deep-red color to create red beryl. The majority of examples found are just a few millimeters in length, too small to be cut and faceted for use. Those that have been cut are generally less than a carat in weight, and red beryl of 2 or 3 carats would be considered exceptional. When cut, Red beryl stones can reach up to $10,000 per carat. Taaffeite is a rare gemstone that most people have never heard of due in large part to how rare it is. 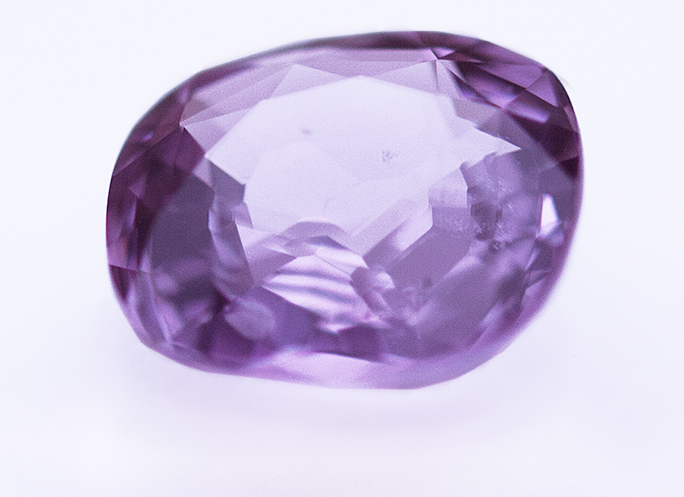 The light violet gemstone was discovered in 1945 by Australian gemologist Count Edward Charles Richard Taaffe, after happening across it while sifting through a box of similarly colored Sri Lankan spinel gemstones. 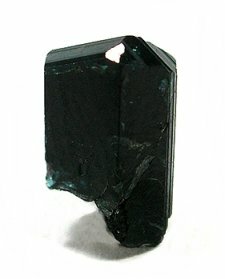 Prior to his discovery, taaffeite was considered spinel. 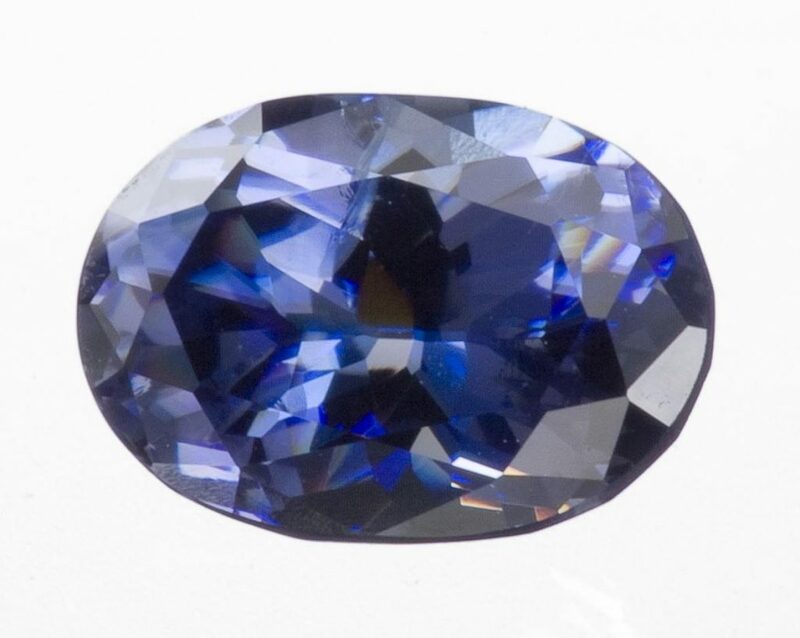 Spinel does not refract light in the same way this gemstone does. 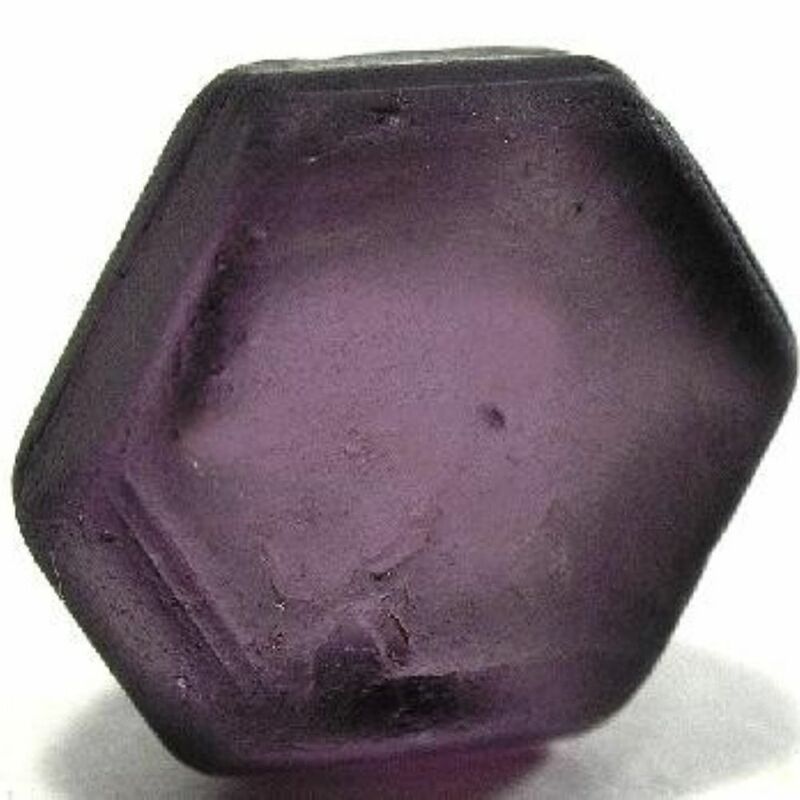 Taaffe’s observation marks the first gemstone that was discovered as a faceted gemstone and not as gemstone rough. Taaffeite has only been found in Sri Lanka and Tanzania. Most material is not suitable for faceting, making it even more difficult to source. The gemstone is so scarce, it is considered over 1 million times rarer than a diamond. If you could round up all the faceted taaffeites currently in existence they would fill about half a cup. Of the rarest red variety, there are fewer than ten specimens. If you want the look of taaffeite but don’t want to pay for a collector’s item, consider purchasing well-cut versions of amethyst in a lilac color. Though amethyst isn’t as brilliant, the color is very comparable. If you’re willing to spend some time searching, you can get a very remarkable and rare taaffeite gemstone. It may be worth considering since the stone ranks 8-8.5 on the Mohs Scale of Hardness, making it more durable than amethyst. The Average price per carat is $2,500 per carat. Serendibite is an extremely rare silicate mineral that was first discovered in 1902 by Dunil Palitha Gunasekera in Sri Lanka. The name comes from the old Arabic term for Sri Lanka, Serendib, as referenced in The Sixth Voyage of Sindbad and elsewhere. It boasts an unusually complex formula consisting of calcium, magnesium, aluminum, silicon, boron, and oxygen. So far there exist three faceted specimens of 0.35 carats, 0.55 carats, and 0.56 carats. Serendibite was recently discovered in the Mogok Valley in Burma in 2005. These remain the only sources known in the world for gem-quality serendibite. Gemstones are truly some of nature’s miracles, formed in the earth for millions of years. In some cases, certain gems are extremely rare. Only a handful has been found, making them very sought-after. These were the rarest among them. Which of these do you like the most?